It's hard to believe the holidays are just around the corner! In the next few weeks we all will be putting the finishing touches on our holiday decorations, and "wrapping" up our gift buying! 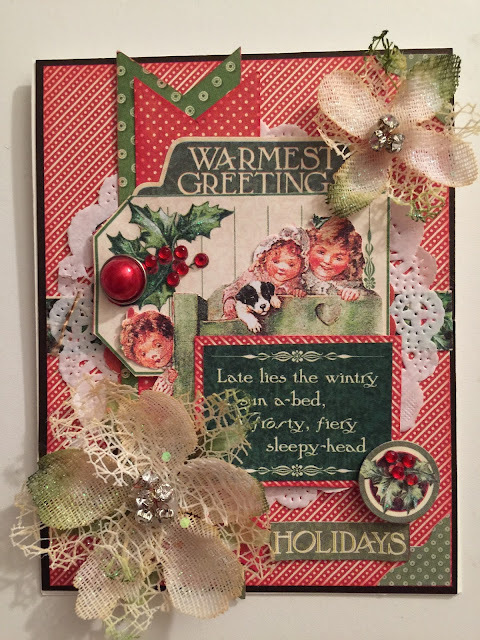 For our "2 Cards/2 Tags" December Membership Kit I created 4 projects that could be made quickly and easily...yet would look like you spent hours on them! All four projects were made using the Graphic 45 Children's Hour paper collection. 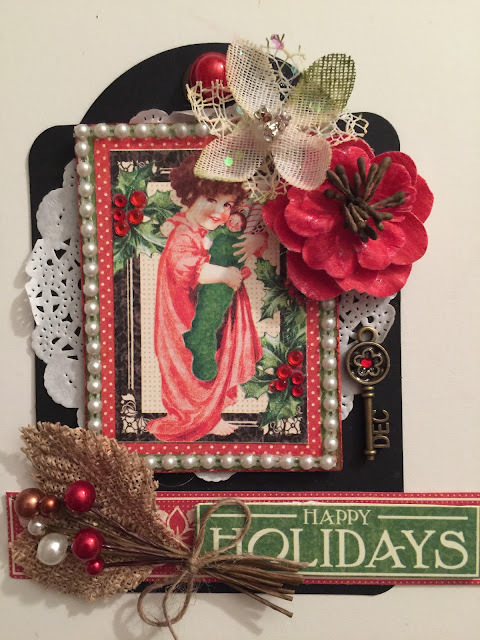 These beautiful cards and tags can all be made by you in an afternoon! Happy Holidays to that very special person in your life! Since they ship the second week in December, we wanted you to have the opportunity to see and order them now, so that you will have them in time to make and send them out before the holidays. 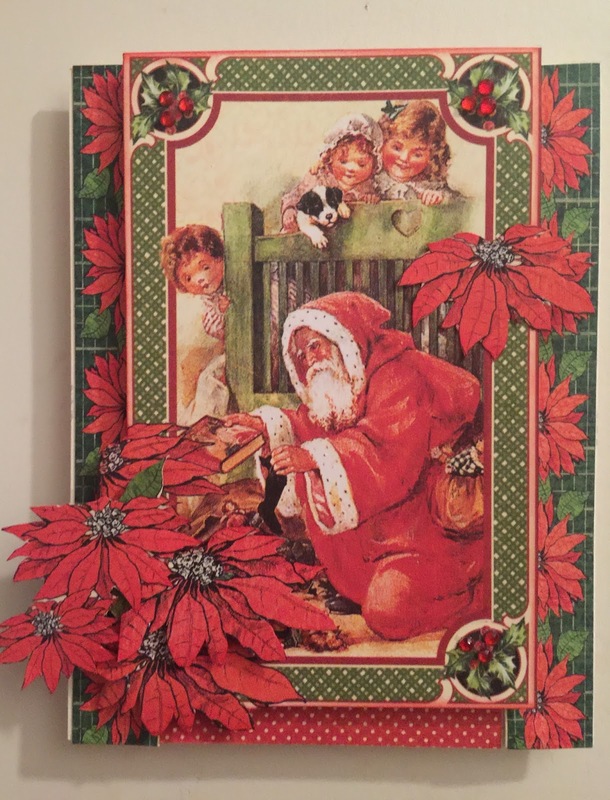 This beautiful Poinsettia card is sure to warm hearts! This gorgeous tag will look stunning on any gift! The jeweled ivory flowers add a bit of sparkle! 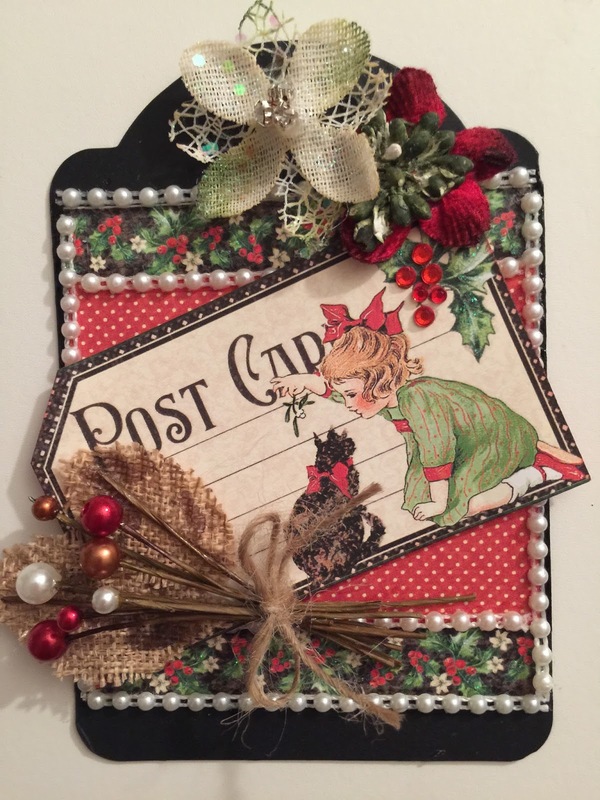 Tags are great on gifts or as home decor! I love the textures on this one! This kit is available NOW on our website! I just love all of the gorgeous projects that you made with this kit, ReNae. Thank you! It's easy to make cute projects with this gorgeous paper! 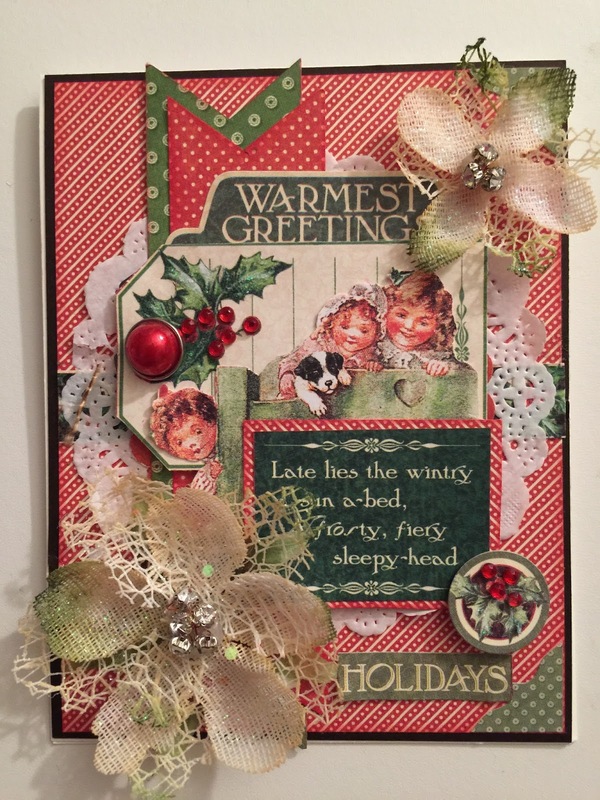 ReNae~your work is absolutely impeccable, its all just beautiful!! Thank you Sarah! You're too kind! Happy holidays! These are so spectacular! The details are just beautiful!